Ron Hackenburger has been collecting cars for about 50 years. He’d always wanted to make his own automotive museum, but things didn’t quite turn out that way. Even so, his collection is wonderfully diverse and full of all kinds of great, interesting cars, many of which may end up in museum collections after all. 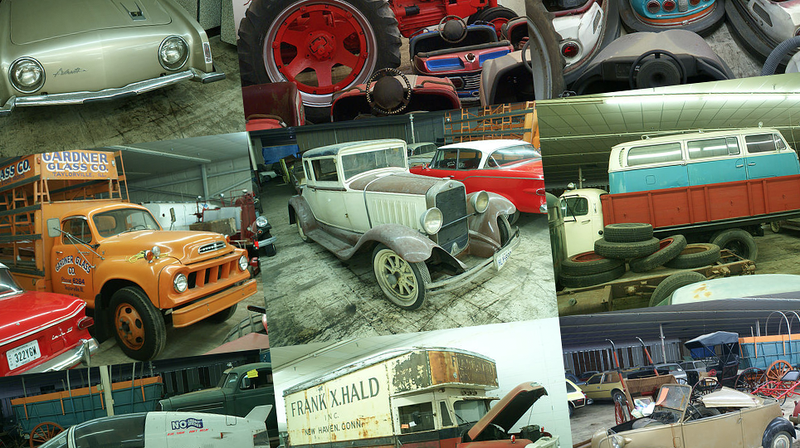 The collection started when Ron was a trucker, which helped him find and transport interesting cars from all over the country. He’s got a great eye for what’s novel—his collection includes a Tatra Tatraplan, multiple Citroëns, a Honda N600, Auto Unions, Renaults, Crosleys, Gogomobils, a DeLorean, interesting utility vehicles, and rare, normally unloved quirks like the Freeway. Oh, and there are also buses and bumper cars and at least one Studebaker covered wagon. He also has some clear preferences, too, since there are 250 Studebakers in the collection. What I love about the collection is that it is one free of useless pretense or any tired old notions of what’s worth collecting. Anyone who can see the value in utility vans and cheap economy cars as well as legendary cars like the Avanti is OK in my book. The auction is set for July 14-16, and I’m sort of hoping by then I discover a few grand in some forgotten pants pocket, because there’s a bunch of stuff here I’d love to have. That fit is weirdly satisfying. When was the last time you saw a picture with two Crosleys and two AMCs? Is This The Prettiest Car Auction In The World?